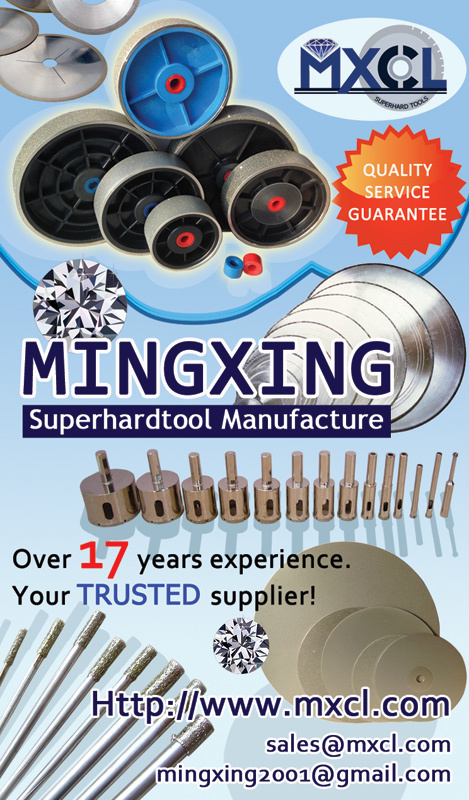 Located in Shanghai, Mingxing Superhard Tools is a leading manufacturer and supplier of superhard tools and equipment. With advanced production equipments, excellent technique, strict quality control system, our company has over 20 years of experience of developing premium quality superab rasive products. We make a wide variety of products such as diamond saw blade, diamond drill, diamond core drill, diamond disc, diamond grinding wheel, faceting machine, PCBN & PCD, diamond file, diamond disc. They can be used for cutting, drilling, polishing, grinding in various industries such as lapidary, optical, semiconductor, construction, glass, and so on. Since 2000, we have been striving to establish lasting relationship with customers all over the world. We always guarantee that they can count on us for honest pricing and superior quality products with zero hassles. Let us know what we can do for your business by give us an email. We’re here to help you find the best supplies for your budget.